Information and communications technologies (ICTs) are powerful tools for achieving everything from enhanced incomes and wider access to credit, to quality education and healthcare for all and more accountable government. 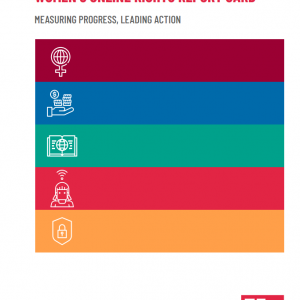 Recognising this, the United Nations has put ICTs at the centre of its new Sustainable Development Goals (SDGs), with countries pledging to achieve universal and genderequitable Internet access, and to enhance the use of ICTs to empower women. You can download the complete report card here.